This unique natural phenomenon attracts tourists from around the world to Russia. Every year, when the polar night starts, the hunt for the Northern Lights begins! 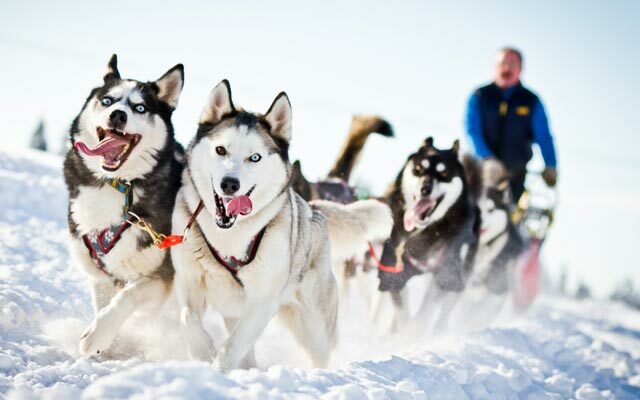 Get a chance to see the Northern Lights in Murmansk, experience husky sledding, ride the snowmobile and visit the famous tourist spots in Moscow in this 5-day winter tour package. Arrival in Moscow. Meet the guide at the airport. Start panoramic tour of Moscow by night. 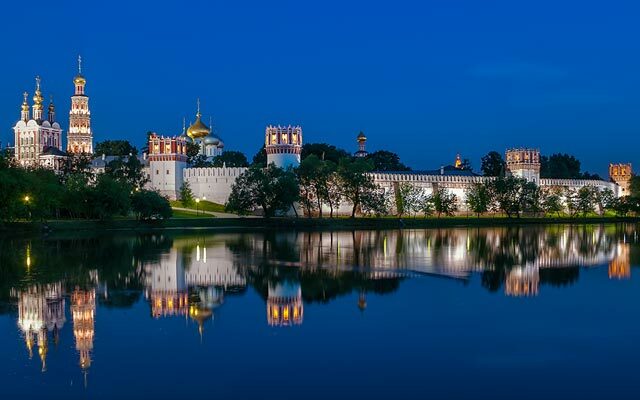 Exterior visit to Novodevichy Convent and its famous Swan Lake. Dinner at a local restaurant. Transfer to hotel for check-in. Breakfast at the hotel. Meet the guide at hotel lobby. Visit Moscow Kremlin Territory with one cathedral. Visit Armory Chamber. 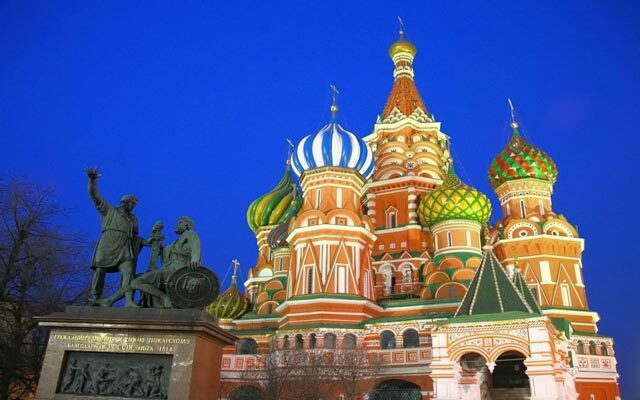 Visit St. Basil’s Cathedral / Red Square. Lunch at a local restaurant. Visit Moscow Metro and Arbat street. Dinner at a local restaurant. Transfer back to hotel. Breakfast at the hotel. Early check-out. Meet the guide at the lobby. Transfer to airport for your flight to Murmansk. Arrival in Murmansk. Meet the guide at the airport. Lunch at a local restaurant. Visit the Nuclear Powered Icebreaker “Lenin”. Panoramic city tour of Murmansk (Alyosha Monument, St. Savior on Waters, cutting the submarine “Kursk”, memorial complex “The sailors who died in peacetime”). Dinner at a local restaurant. Transfer to the hotel for check-in. Observation of the Northern Lights (subject to weather condition). Breakfast at the hotel. Meet the guide at the hotel lobby. Excursion to Husky Farm, Husky sledding included. Lunch at a local restaurant. 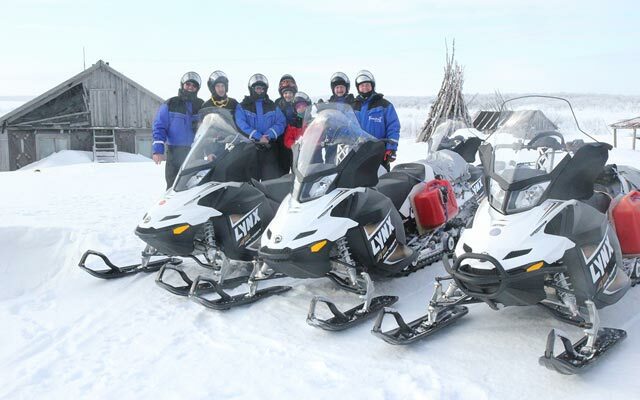 Experience Snowmobile safari. Dinner at a local restaurant. Transfer back to hotel. Observation of the Northen Lights (subject to weather condition). Breakfast at the hotel. Early checkout at hotel. Transfer to the airport for return flight to Manila.